Many people bought this, as I did, in 1973, upon its re-packaging (with the Ziggy-like hair cover) in the slipstream of the success of “Hunky Dory”, “Ziggy Stardust” and “Aladdin Sane”. To be honest, many of us teenagers didn't quite know what to make of it. 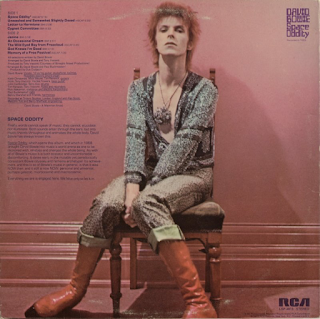 (Above are the repackaged 1973 covers and below the original 1969 ones). Originally released in 1969. It was more than just a vehicle for the chart-topping, legendary title track. There is some surprisingly good stuff on this album, particularly on this impressive new remastering. Just check out "Unwashed And Somewhat Slightly Dazed". I have found I now listen to this through new ears, so to speak. 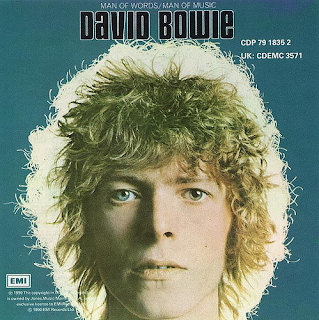 Some great guitar from Bowie's new guitarist, Mick Ronson (later to be an integral part of "The Spiders From Mars", of course). Thoroughly bizarre lyrics though. "Cygnet Committee" sounds revitalised too, as does the mysterious and folky "Janine". Crystal clear acoustic guitar. 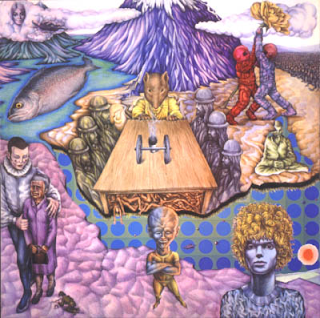 Then there is the trippy "Memory Of A Free Festival" where "Peter talked with tall Venusians..". Far out, man. This remastering has given new life to what was an often-forgotten album. Still a few incongruities though, the odd “God Knows I’m Good” and the strange “Wild Eyed Boy From Freecloud” sit somewhat uncomfortably. No matter. Still worth a listen. 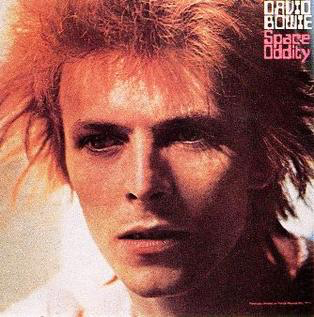 I prefer the “Ziggy hair” cover that was used when it was re-released in 1973 and I bought it.